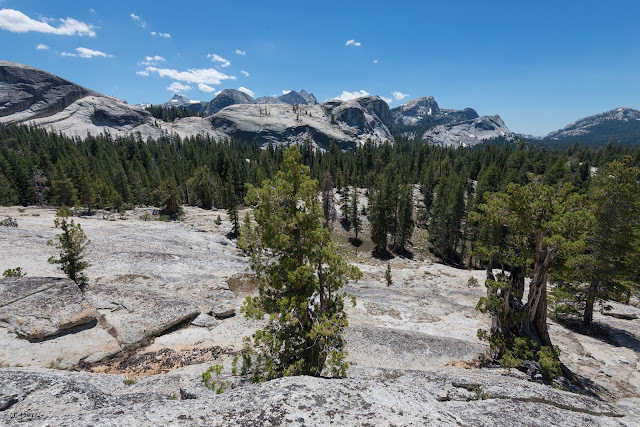 Yosemite's Cathedral: Climbing John Muir's "Dome in the Middle of Dome Dam"
Climbing John Muir's "Dome in the Middle of Dome Dam"
In the summer of 1901 the Sierra Club began a long tradition of "High Trips" or month-long camp-outs in the mountains of the West. 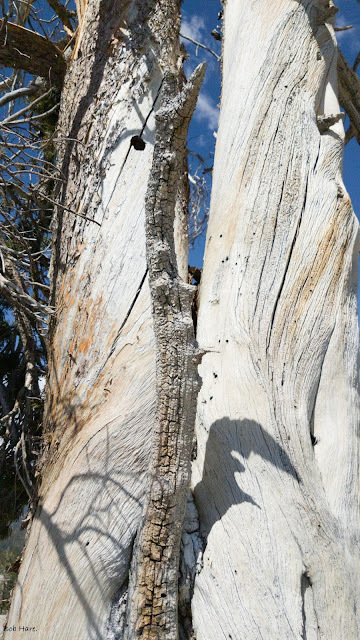 This first High Trip began in Yosemite Valley and ended in Tuolumne Meadows, a favorite camp of its president, John Muir. On August 4, 1901, Muir led a group of hikers to the top of what he called "the dome in the middle of dome dam." 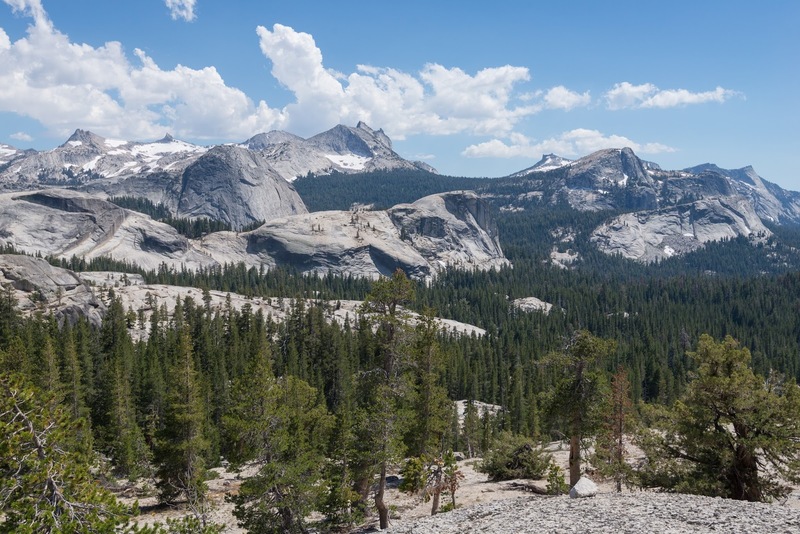 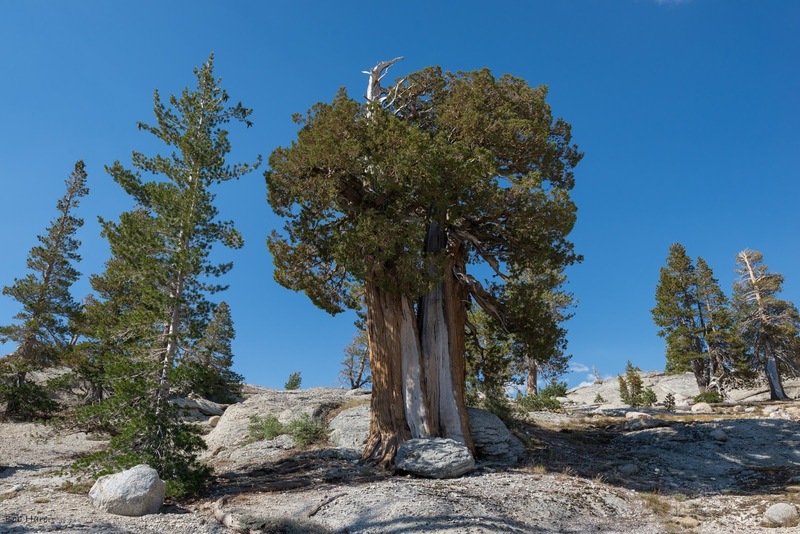 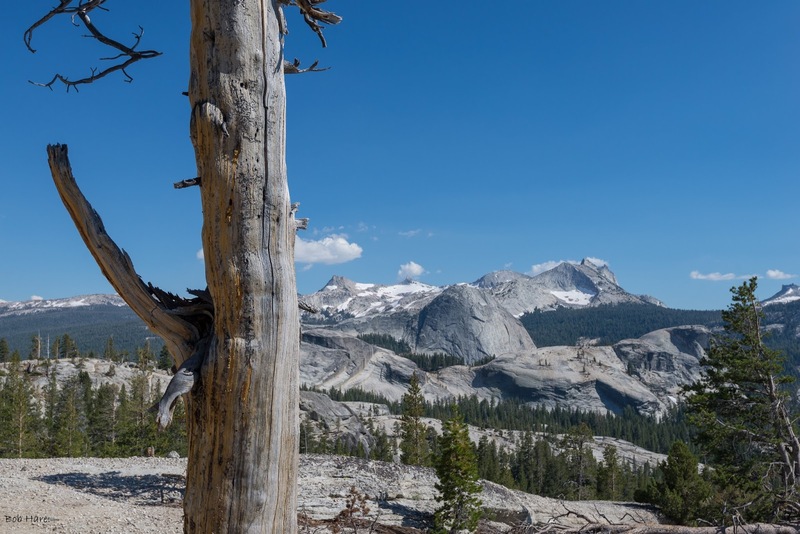 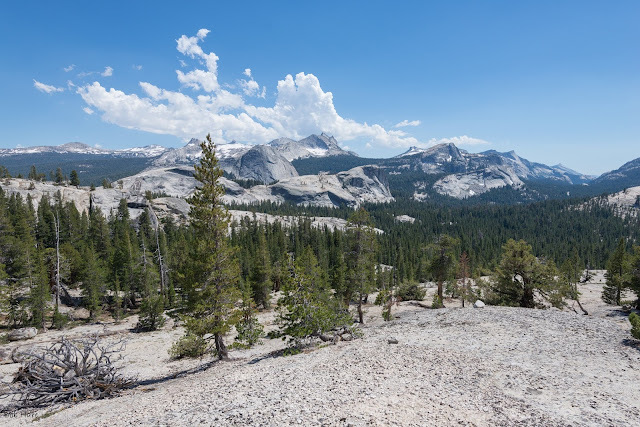 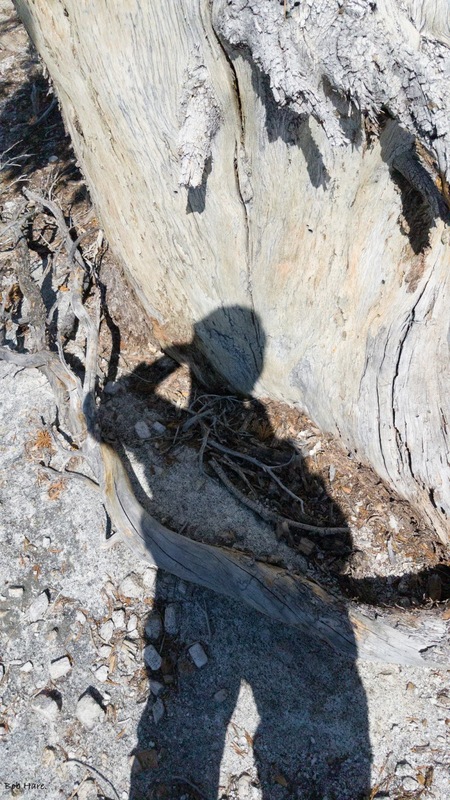 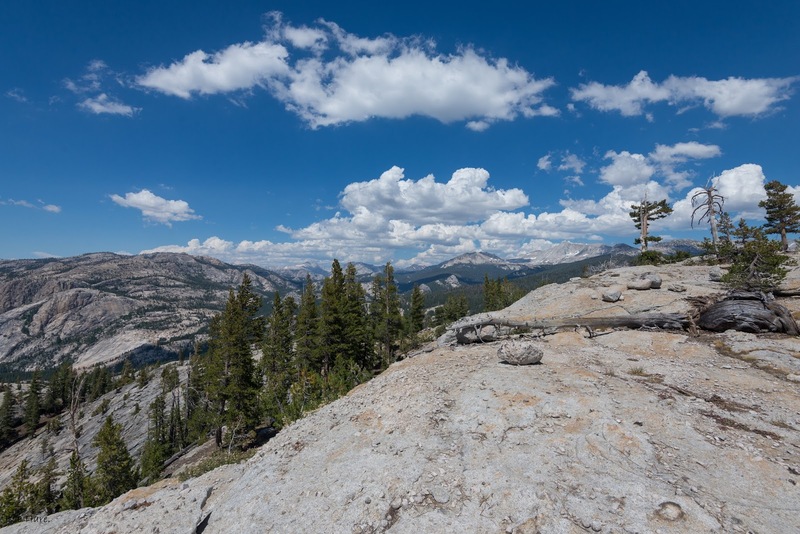 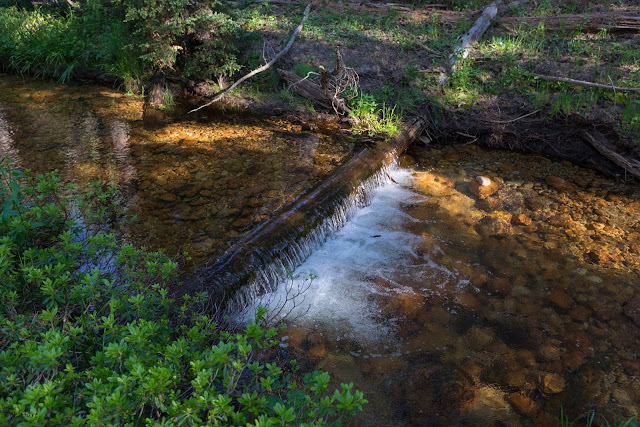 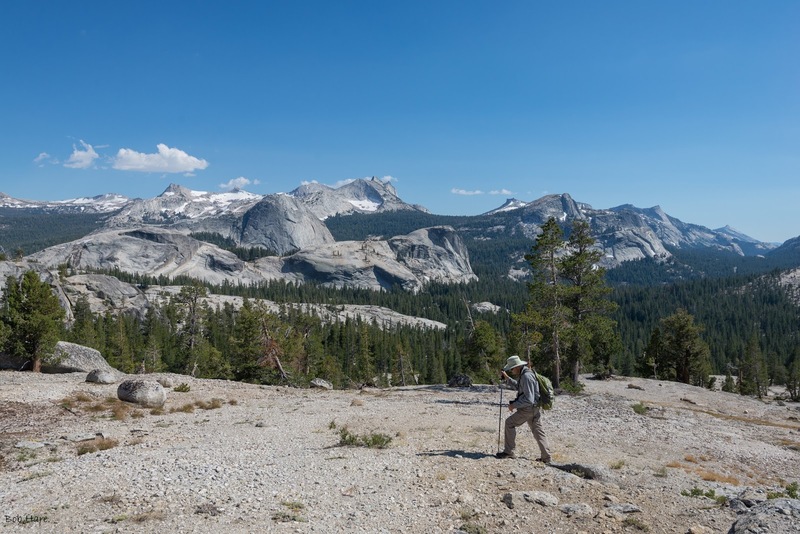 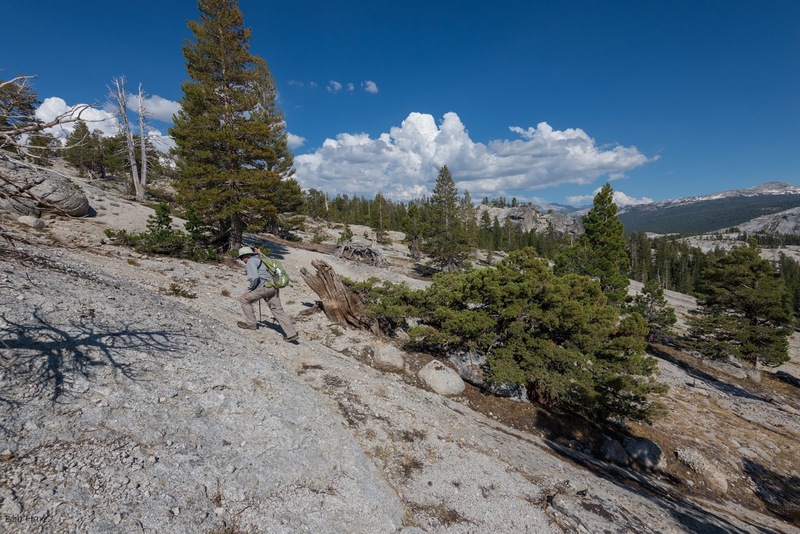 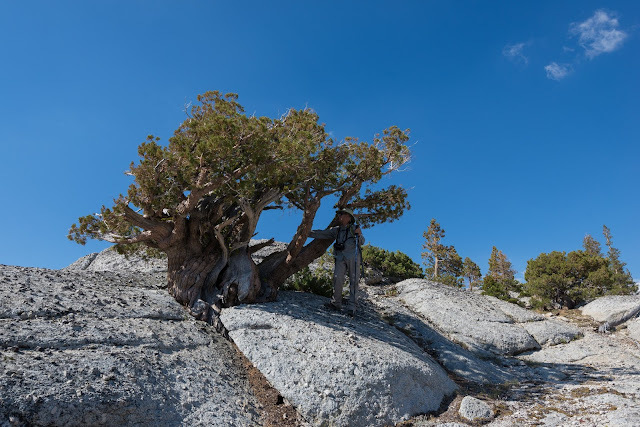 His dome dam is a glacier-resistant band of hard granite that forms the nine domes between Fairview Dome (which Muir called "Glacier Monument") and two domes across the Tuolumne River just north of lower Tuolumne Meadows (which Muir called "Round Meadow"). By Muir's description, I determined that his "dome in the middle of dome dam" is the large isolated unnamed double dome with an elevation of about 9,000 feet that is indeed in the middle of this cluster of domes. 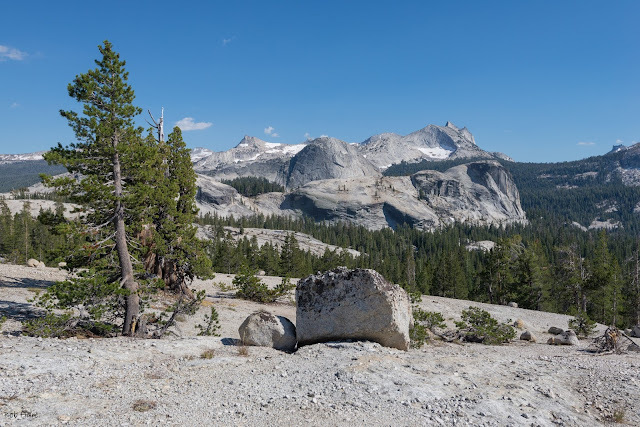 In late July, 2017, I set out from the west side of Daff Dome with David Witt to climb and photograph this dome. 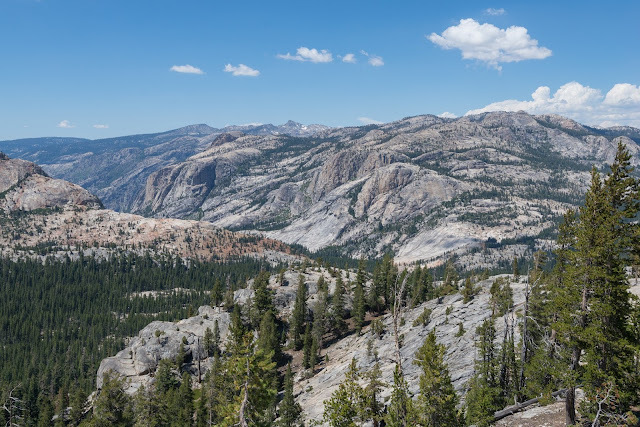 As it turns out this Dome Dam has marvelous views of the Cathedral Range, The Glen Aulin area of the Tuolumne Canyon, and the High Sierra Crest to the east. Enjoy these photographs. 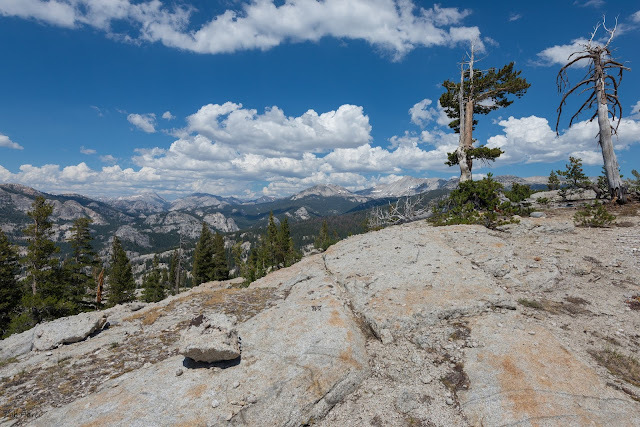 Note: If you click an image you get a larger photo and can scroll through them.